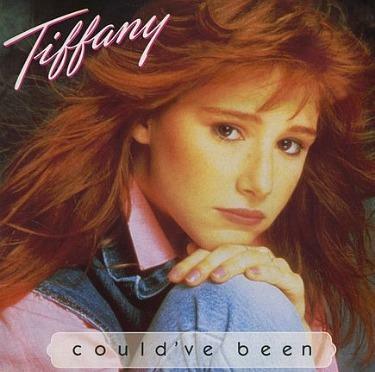 Released in November 1987, Could've Been was Tiffany's third single release from her debut self-titled album. The ballad was the follow-up to the chart-topping I Think We're Alone Now, and became the second consecutive number one in the U.S. for the American teenage pop star. In Britain, the song reached #4. The debut single from the album, Danny, failed to break into the charts, making this her second Top 40 hit. A fourth song from the album also became a top ten hit. I Saw Him Standing There reached #7 in the U.S. and #8 in the UK. After the next two singles Feelings Of Forever (also from Tiffany's debut album) and All This Time (the lead single from the second album Hold An Old Friend's Hand) failed to break into the UK Top 40, Tiffany must have been delighted when she had another hit with the second single from the second album Radio Romance, which reached #13. However, the joy was short-lived as the singer failed to have any more hits in either the UK or U.S. The pop music industry sure is fickle, and I could name countless eighties artists that simply ran out of fizz during the next decade! In 1991, Tiffany was part of a choir of pop stars and celebrities that sang on the single Voices That Care, which was released to support the Red Cross and the troops fighting in the Middle East. However, she was not a lead vocalist.